Christmas is around the corner! Have you started your holiday shopping yet? There’s still plenty of time! 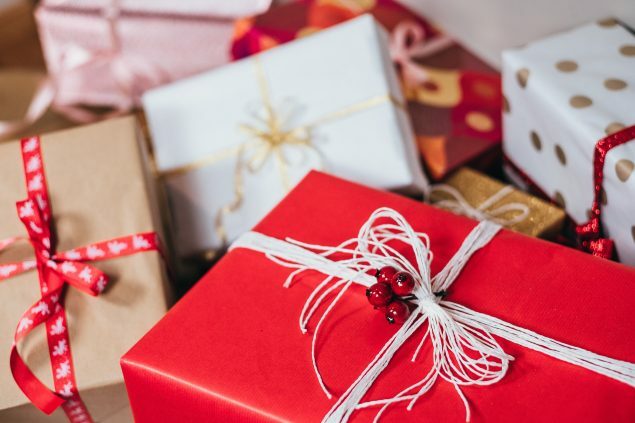 This year, if you are in need of extra cash and rewards to put towards Christmas presents, check out this list below of ways to earn rewards through apps, surveys, and more! Companies and brands need feedback from YOU and by completing surveys or even doing simple tasks such as shopping online, you can start working towards earning real cash and rewards. Every bit adds up! Browse through the list below and choose the ones that are right for you to start earning today! Shutterstock Contributor – Love taking photos? Sell your photos online through Shutterstock! Sign up for an account, then upload and submit your photos to start earning. Pampers Rewards Program – Join Pampers Rewards program and receive 100 free points toward your purchase of Pampers goods. Save money with exclusive coupons and receive a weekly, customized email, tailored to each stage of your pregnancy or your baby’s development. Follow my website for FREE coupon codes to enter into your account to earn rewards. Huggies Rewards – Sign up and receive exciting offers, products updates and more from Huggies®. Kellogg’s Family Rewards – Purchase the KFR-participating products that you love. Easily collect points on those purchases. Then redeem your points for awesome rewards. The rewards catalog is filled with items you’ll love – from gifts cards to coupons to sweepstakes – and so much more! Plus, they add new rewards all the time. A valid email address is your key to bonus offers, free points, special offers, money-saving coupons, great-tasting recipes and so much more! Ibotta – Find great rebates, shop & redeem, get cash back! 100% of your Ibotta earnings can be transferred to PayPal or Venmo as soon as you’ve earned $20. If you’d rather convert your earnings into a gift card, you can do that, too. Checkout 51 – Pick the rebates you like, purchase them at any store, and upload a photo of your receipt through the mobile app or website. When your account reaches $20.00, they send you a check. Earn $5 cash back every time you refer a friend and they redeem their first offer. Shopkick – Kicks are our version of reward points. They’re easy to earn with the shopkick app and can be redeemed for gift cards to your favorite stores. Swagbucks – Earn 1,000s of free prizes, for doing the things you do every day – like PayPal and Amazon gift cards, toys, clothes, collectibles, games, electronics and more. My lifetime Swagbucks: 68,488 = lots of Amazon gift cards! EBATES – Join free and get a $10 gift card after your first purchase of $25 or more. Pinecone Research – You will earn points for each completed product survey, which can be exchanged for cash and other rewards. PLUS you will be automatically entered into a bi-weekly Sweepstakes to win additional cash prizes for your time. Each interview usually takes 15-20 minutes of your time. Inbox Dollars – Join Inbox Dollars free and get paid to take surverys, shop online, try name brand products and play games online. Vindale Research – Get a $2 sign up bonus! Take simple surveys online and receive up to $50 per survey completed. Get paid in CASH, not points or gift cards. Cash out with PayPal or a mailed check. Harris Poll Online – Once you become an member, you will instantly receive a quick survey to earn your first points! Once you complete the initial survey, you will start receiving invitations to participate in a variety of cool surveys. For every survey you successfully complete, you will receive points called HIpoints, which you will be able to exchange for awesome rewards after just doing a couple of surveys! Also, with every survey you complete you have a chance to enter our $10,000 sweepstakes! Global Test Market – Global Test market reward options include: PayPal, Amazon, Applebees, Macys, CVS. Voice your opinion in online surveys. Earn points for surveys. Redeem for cash and rewards. Opinion Outpost – Sign up and earn cash and awards for taking surveys.